Now you can automatically protect yourself from all types of Internet privacy attacks, and prevent anyone from gaining access to your private banking and personal information. 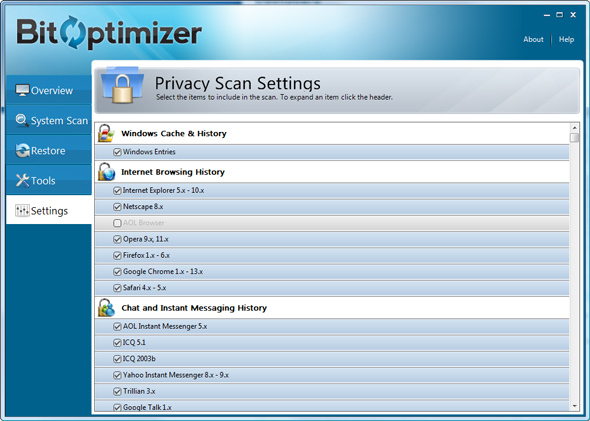 BitOptimizer continuously scans for invasive privacy threats and alerts you to any that infiltrate your PC, then puts the control in your hands as to how you choose to eliminate them. With BitOptimizer you'll be able to browse the Internet, shop and bank online, and fill out forms with uncompromising peace of mind.